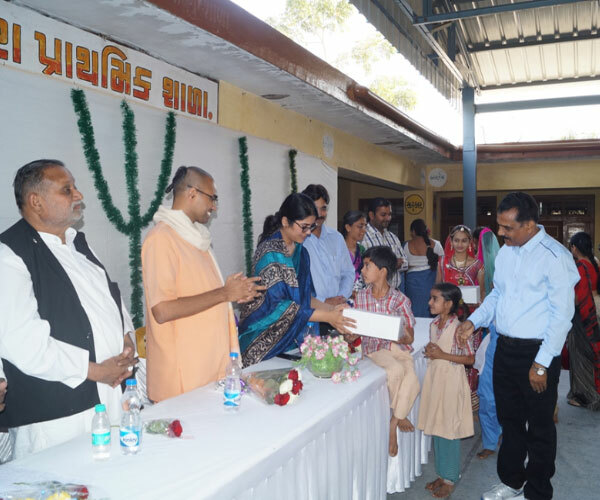 On 13 January, 2016 Toms partnered with Akshaya Patra and distributed shoes to students of Undera Primary School in Vadodara. Toms has always been universally identified for its thoughtful partnerships and social endeavours in everyday community development. To support the cause, Avantika Singh, Collector of Vadodara was present at the event. The school students warmly greeted her and the event kick-started with the ceremonial lighting of the lamp. The students had also put up a cultural show for the guest who was extremely appreciative of the effort that had gone into organising the acts. She then distributed the shoes to all the students present there who were thrilled to receive the sparkling new pairs of shoes!